Do you want to make perfect croissants? 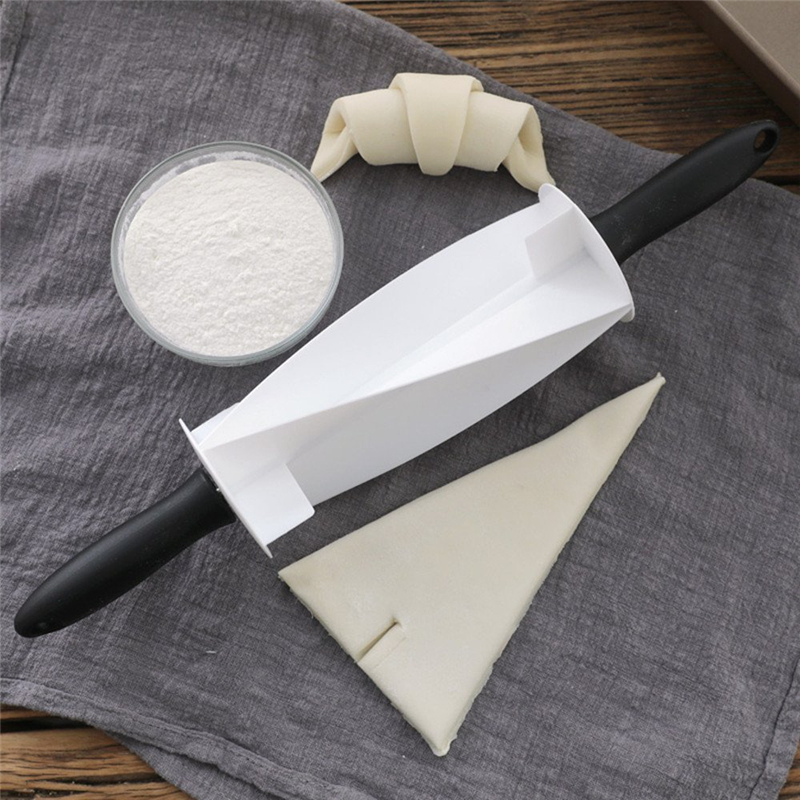 Create the perfect triangle doughs for croissants and other pastries with this Croissant Dough Rolling Knife! TIME-SAVING - Cutting dough by hand can be time-consuming. But this Croissant Dough Rolling Knife will make cutting the dough easier and quicker. Just roll it on the dough and watch the shapes form. Perfect for making large batches of croissants! CONSISTENT SHAPE - Don't leave it up to fate! This Croissant Dough Rolling Knife gives you the perfect shape and size every time. DURABLE - This Croissant Dough Rolling Knife is a baker's best friend. 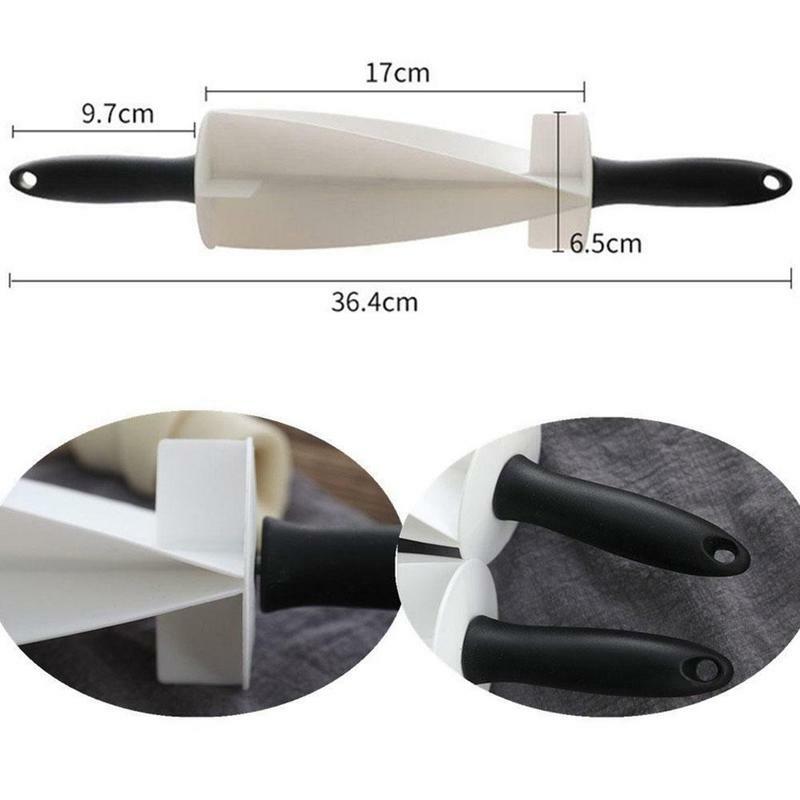 Made of durable plastic material, this Croissant Dough Rolling Knife is perfect for bakeries, pastry shops, restaurants, and even for personal baking use! Eliminate the guesswork out of cutting evenly sized triangles. 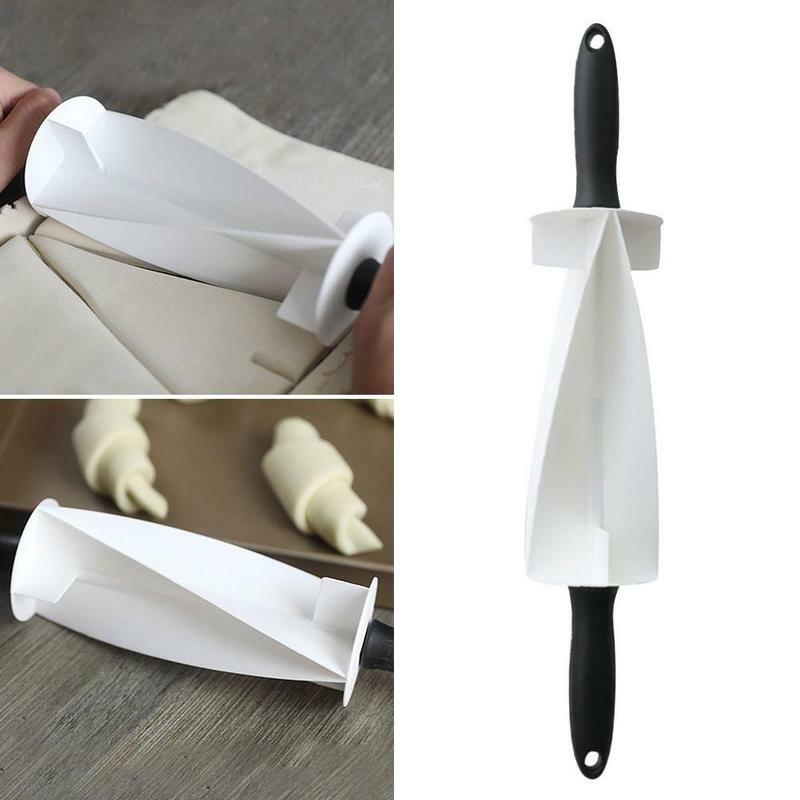 Add this Croissant Dough Rolling Knife to your baking tools now!